Getting an opportunity to study at one of the reputed universities of Australia is a dream of many students. And when that opportunity knocks at the door, one must make sure of not losing it because of lack of knowledge or direction. Aussizz group, being one of the most renowned groups of immigration and education experts, is known for providing high quality IELTS coaching in Ahmedabad so that the students can fulfil the university or visa requirements for English proficiency. Our coaching comprises of most experienced IELTS trainers who apart from providing exclusive study materials arrange practise tests in simulated conditions to boost learning and ensure great results. 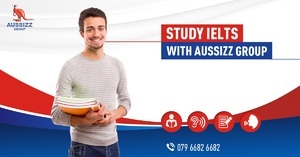 If you want to enrol too, reach us at info@aussizz.com or call +91-79-6682 6682.